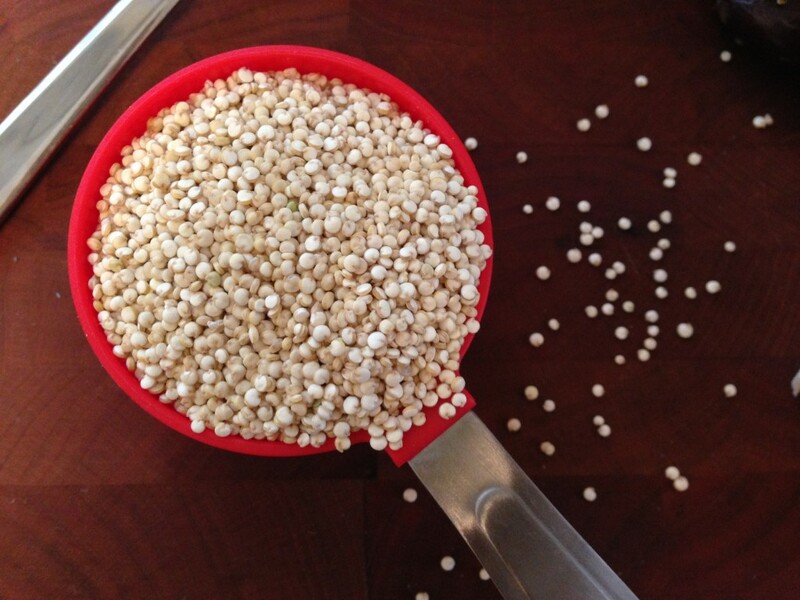 Quinoa is a fairly new addition to our family’s menu but it’s something I’ve been incorporating more frequently because it makes a great blank canvas for lots of interesting flavors. 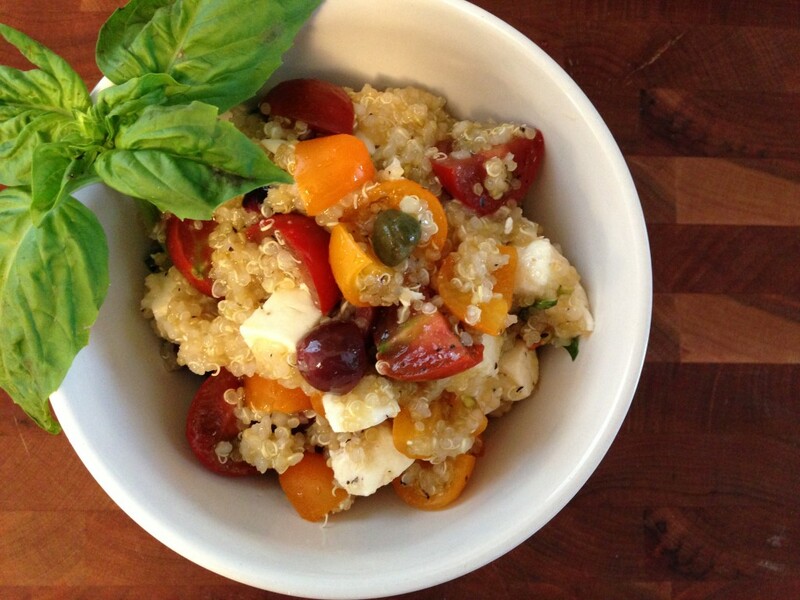 It’s really healthy, full of protein and fiber, and relatively inexpensive. 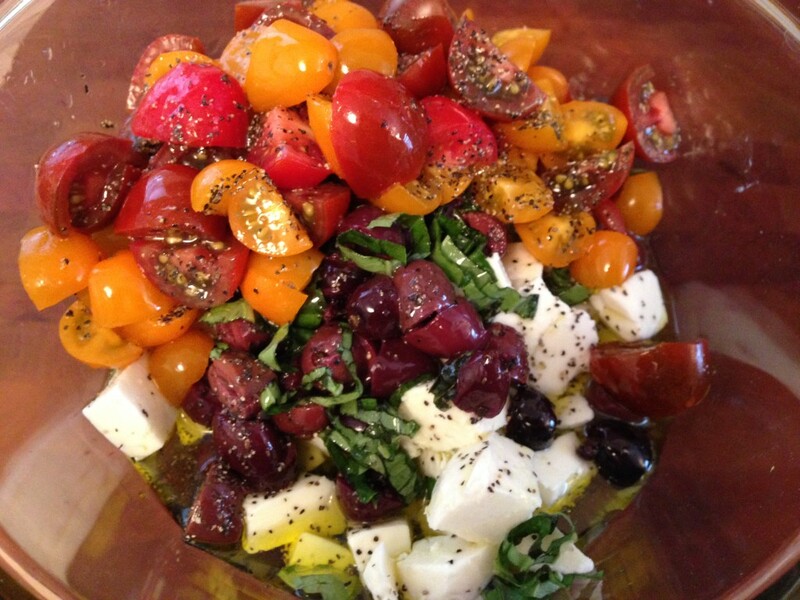 Add whatever cold-salad combination you love – roasted or pickled vegetables, cubed deli meats, different kinds of cheese (feta works great), or keep it simple with a great oil-based dressing and lots of fresh herbs. 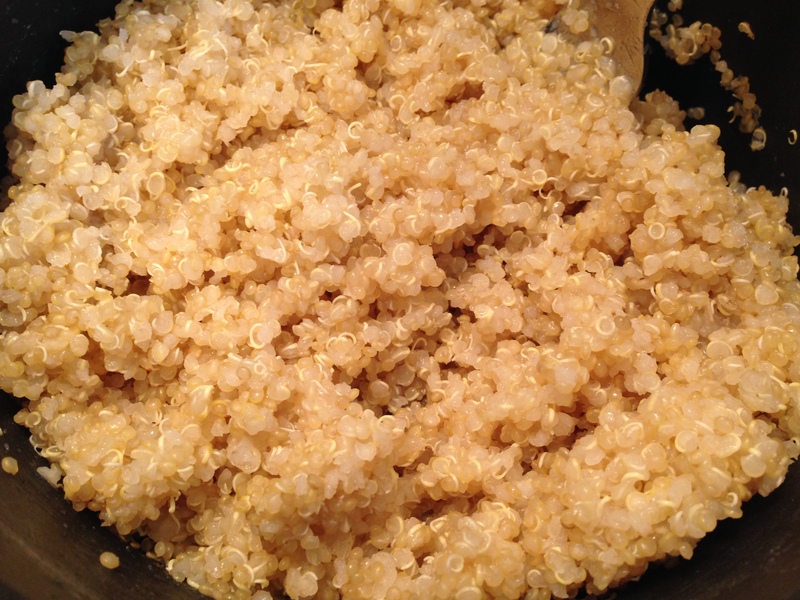 This is my preferred method: I use a 2:1 ratio of water to quinoa and cook it in salted water. Bring it to a boil, then cover with a lid and let simmer for about 20 minutes. 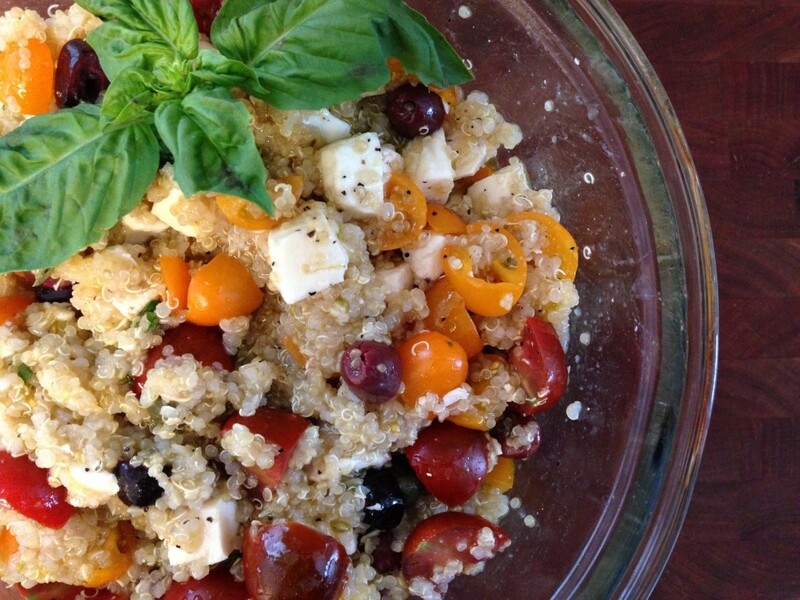 Let the quinoa cool to room temperature. 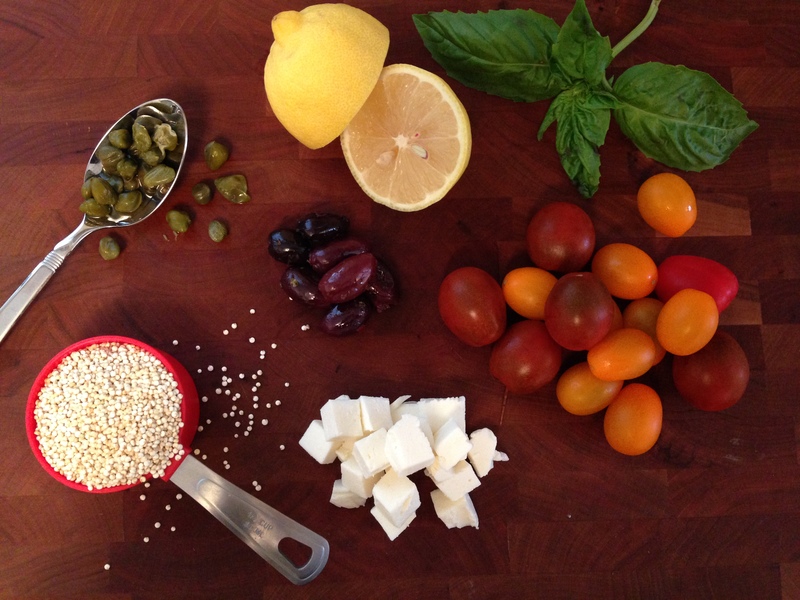 In a large bowl, combine the cubed mozzarella, capers, basil leaves (chopped or cut into ribbons), halved cherry tomatoes and sliced olives. Squeeze ½ lemon directly into the bowl; I like to do this cut side up into the palm of your hand to catch any seeds. 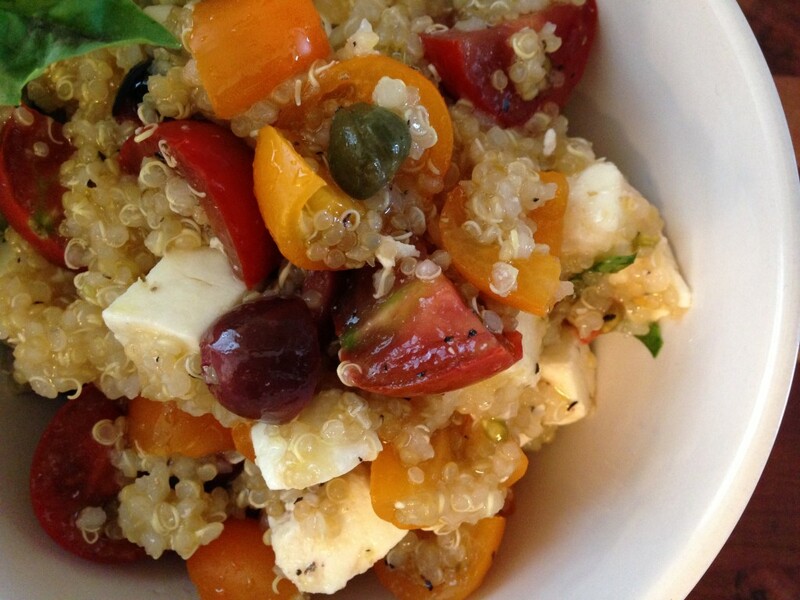 Add the quinoa (cooled or room temperature) and stir everything to combine.